'White Labeled ATMs' may soon be part of Indian Banking Sector! Despite the stupendous growth of banking sector in India in the last 10 years and the development of a highly competitive marketplace comprised of both domestic and foreign based banking entities in India, access to various banking services in India continues to remain a major problem. It seems fair to compare the number of ATMs in India with the likes of China and USA despite the fact that these two countries probably had a much better banking system in place. But, if the growth of India is often benchmarked against these very countries it is evident that the state of ATMs in India does not cut a very happy picture. The answer to fast nationwide expansion of ATMs is ‘White Labeled ATMs’ as demonstrated by other countries like Canada which has seen tremendous boost after allowing for White Labeled ATMs to be opened. In basic terms, a white-labeled ATM is not a property of the bank and rather owned and maintained by a private third-party. This is different than the current model wherein the banks have to bear the cost of buying the ATM machines and also handle the cash management. It is noteworthy that RBI has been dilly-dallying the decision to allow White Labeled ATMs in India since 2006 but for some reason, it is yet to become a reality. However, things might be looking up in this regard if IDBI Bank is considered. Apparently, IDBI is planning a joint venture with a third-party company in order to get into the White Labeled ATM space. Even though technology seems to be a constraint since White Labeled ATMs will require a standardization of banking processes by various banks the potential white labeled ATMs could have is immense. It can create a new financial services segment itself totally controlled and managed by non-banking entities. With the current model, banks have to bear upfront costs as well as recurring expenses to maintain ATMs and this might restrict them to expand the number of ATMs especially in remote locations where these banks may not even get enough transactions. However, since a White Labeled ATM is not tied to a single bank, a third party operator might be in a better position to bear a return on the investment since the business model will involve charging a fee on every transaction irrespective of which bank the ATM card belongs to. 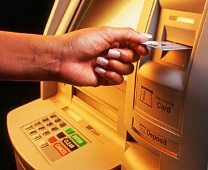 The additional charges levied by white labeled ATMs could be detrimental to the fast adoption of these kind of ATMs but I am of the opinion that customers of today might be ready to shell out a small fee for the convenience of finding an ATM close by and withdrawing/depositing cash irrespective of the bank they have an account with. What are your thoughts on the concept of White Labeled ATMs and their potential to take banking to even the remotest places in India? Top most consumer friendly banks in India! Choose from 184 hotels for Agra City and read unbiased reviews, compare tariffs and view Agra hotel photos.Book Agra hotels online. Get Information for all budget, luxury, star hotels and homestays in Agra. This is a great piece of information. If White Labeled ATM’s becomes the reality then it would surely be a big boost to our fiscal policies particularly aiming at fiscal consolidation. Its not only transaction fee which factors in while people are using ATMs. Let me give you my example. I have a/c with HDFC, my wife has an a/c in SBI, my dad has an a/c in Bank of Baroda, my bro has an a/c in Canara bank. The ATM nearest to our house is Andhra bank. We all know that after few withdrawls in a month (I dont remember the exact number) we are charged some fee for using other bank’s ATM. In order to avoid additional charges, we travel approximately 2 km to the bank ATM. Its not only travel. We are using fuel (casuing pollution) we are using already swollen roads (causing traffic congestion). Suppose a white ATM is near our location. An additional fee will not deter us from using the machine. Its conveniance that matters. No matter, Indians are getting used to paying a small additional fee for conveniance (unless it amounts to a major portion of income). This is comparable to Tower Infrastructure business related to telcom sector. Though telcom companies can not operate with out towers, in order to optimize the finances, they depend on third party towers (though some of them own part of towers like Relcom etc but they prefer to make the tower business a seperate entity). Similarly white ATMs offer a new business model. As the private companies which compete in this sector wish to provide superior services, they tie up with as many banks as possible while keeping service charges at the lowest. They also maintain the ATMs properly and rectify problems immediately as time lost due to machine down is revenue lost. Compare this with present bank ATMs which remain out of order for weeks on. RBI has to act fast. No doubt they do risk assessment from all angles. But they take examples of establised existing systems like the ones said above like in Canada. It will casue many new enterprenuers to enter this business and reduce congestion at ATMs. As the no of machines grow, the turnover goes up.